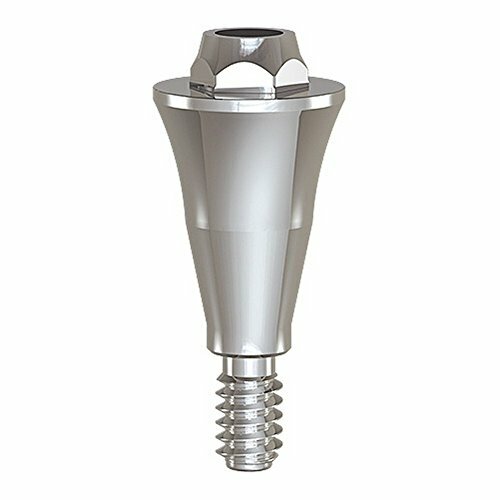 The paltop Conical single unit titanium abutment is a straight transmucosal component intended to be connected to the head of a paltop Conical implant in order to support a temporary crown. The single unit abutment is connected to the implant immediately after implant placement or implant uncovering. Once connected, the single unit abutment and the implant function as one integrated unit. Due to the fact that the single unit abutment is a solid piece, it eliminates penetration of any bacteria and other contaminants to the implant-abutment interface. The crown can be either screw-retained to the single-unit abutment, or cemented over an abutment that is screw-retained to the single unit. The concave profile of the single-unit abutment enables maturation of the soft tissue in a thicker and stable form. If you have any questions about this product by Paltop, contact us by completing and submitting the form below. If you are looking for a specif part number, please include it with your message.